From his parents’ corner shop in Virginia, Co. Cavan to masterminding a Michelin star for his own restaurant in Galway, Enda McEvoy has developed into one of the finest chefs in the country. 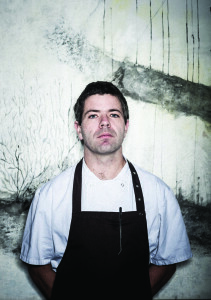 ANDREW JENNINGS spoke to him about winning the star, the burgeoning restaurant scene 'out west' and how difficult it is to find good staff. With the evenings drawing in, the temperatures dropping and the trees heavy with fruit, you might well spot Enda McEvoy rummaging about in the hedgerows around the rural outskirts of his adopted Galway City. If you do, don’t be worried about his state of mind or wellbeing, for McEvoy is a forager. He is now also the proud owner of a Michelin star after his own restaurant, Loam, which opened just last year and is located just off Eyre Square, picked up the prestigious accolade in late September. “Our philosophy here is only to use ingredients that are from the west of Ireland,” McEvoy explains to Hospitality Ireland. "This isn’t easy as we do not allow ourselves to use spices, so we have to go out and find flavours from other places. The same goes for the likes of lemons and olive oil, so it’s a challenge. It is why foraging became a bit of a thing for us. Otherwise, you’re just importing things from all around the world, which is not much of a challenge at all. Back in September 2012, when the list of new Michelin stars was leaked for that year, it proved a case of McEvoy putting Galway firmly on the culinary map. As the head chef at Jp McMahon and Drigin Gaffey's Aniar in the city, the Cavan native was awarded a star in recognition of his unique approach to sourcing and cooking Irish food. It is an ethnic food philosophy embraced by René Redzepi of the famed Noma in Copenhagen, where McEvoy had previously worked. Although McEvoy had been cooking in Galway for quite a while, there was some surprise at how quickly Aniar had received the award at the time. However, it was clear the Michelin guide had already recognised McEvoy’s cutting-edge talent having first tasted his food when he was head chef at Sheridan’s on the Dock, a popular Galway restaurant that had subsequently closed. When McEvoy departed Aniar there had been plenty of speculation among foodies in Galway about what would be his next move. Loam’s opening late last year was both long and eagerly awaited. The name ‘Loam’ is a reference to a type of soil, which McEvoy says is the ‘perfect soil for growing things in’. So the question is, has it been all the sweeter for McEvoy to win a star in his own restaurant, particularly after only opening its doors less than a year ago? “Of course,” he says. "I left Aniar for a couple of reasons. I always said that I was only going to stay there for a couple of years. I stayed for two years but I always said I wanted to open my own business. The space itself, located in an office block basement on the east side of town, is a treat. McEvoy and his team enjoyed full creative control over the texture and feel of the restaurant. 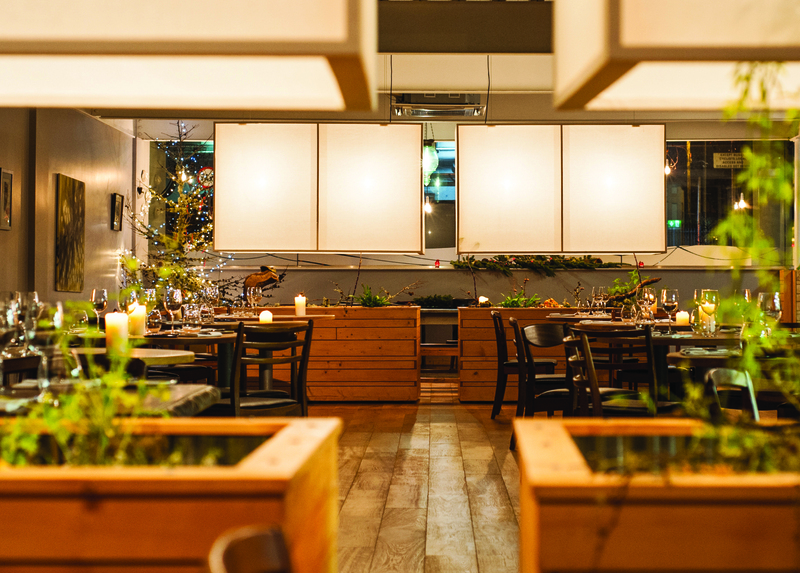 Moving from head chef at Aniar to business owner at Loam, McEvoy believes that establishing and running his own venture has meant that he’s needed to switch his focus. McEvoy was born and raised in Virginia in Cavan where his parents ran a small shop. He worked his first kitchen job in Germany at aged 17, working as a porter. “Yeah, that kitchen job in Germany was a good grounding, they did things the right way there,” he says. “Moving around each section of the kitchen gave me good experience for the future. Then when I came back to Ireland, there wasn’t really anywhere that I could work where cooking was taking seriously, apart from the few Michelin star places. “I think when I started working in kitchens, what I liked was the fact that you're part of this big machine, this thing that works really efficiently and is full of energy and testosterone. It's about trying to get through to the end of service without imploding. And out of that, learning a craft, becoming more in control of your craft. Then there's the whole love of food and trying to find ways to hone your craft and show off the food to the highest level." After returning to Ireland to complete his degree in English and Sociology at NUI Maynooth, McEvoy quickly decided that cooking was the career path he wanted to pursue and moved to Galway, where he met his future wife Sinead Meacle. As with most chefs, McEvoy travelled quite regularly to learn his trade. He worked in Spain, Germany and the UK before returning to Galway, where he found work in the much- loved Nimmo's restaurant and at Sheridan’s on the Docks, before moving on to do a Stage at Noma in Denmark. While working there, he was approached by McMahon and Gaffey to work in Aniar. “When I moved back to Galway and started in Nimmo’s, I met Harriet Leander, the woman that runs it,” recalls McEvoy. With the growing of food being a particular focus at Loam, this freedom over the menu is particularly important to McEvoy. "It’s hugely important really," he says. ”That’s the kind of structure we have now at Loam. We do change the menu every day. We're not stuck to a set typed menu, because by its very nature food is changeable. 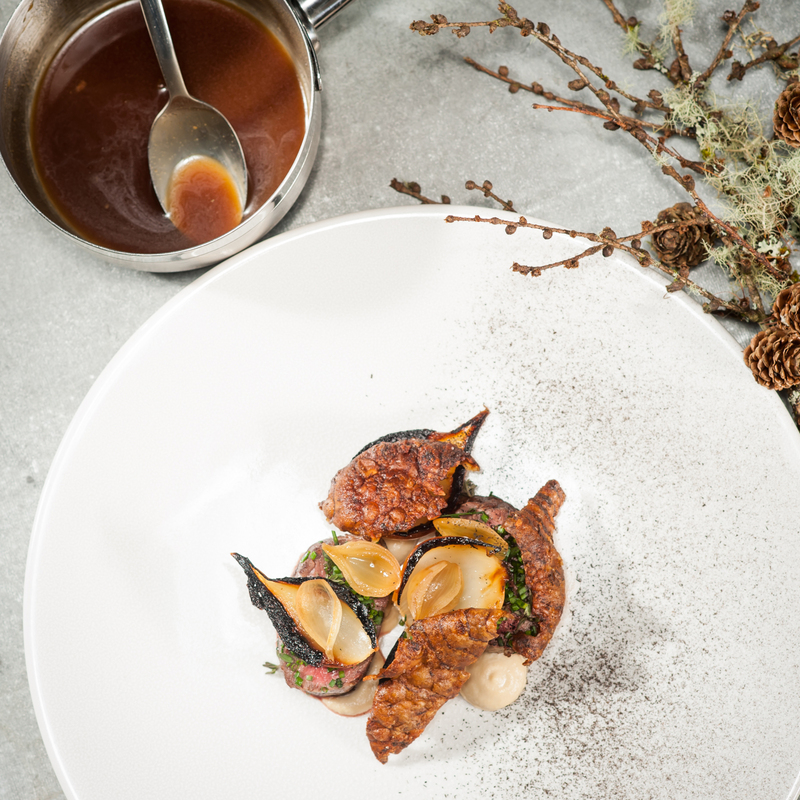 McEvoy believes that the ‘inspiration'’ behind Loam is associated with what ingredients come through the door every week from its local suppliers. "It’s the ingredients," he says. “People always ask me ‘how is a certain dish born? How did you come up with the idea?’ At the end of the day, it’s people bringing things through the door. We only opened 10 months ago, so we’re not even a year here, and this is the first year we’ve been dedicated to working with one particular vegetable farmer for example, which is Manu Russo and Fergal MacAindir, who run a leaf and root farm. So we have them growing things that they’re not familiar with. McEvoy admits that it came as a bit of a shock that the Michelin star arrived so soon after opening Loam, but that it was something he had in mind for a bit further down the line. “I was shocked we got it so quickly. I didn’t think get we’d get it within one year,” he says. More tourists and increased consumer confidence are some of the reasons cited by Ireland’s Michelin-star restaurants for the ‘significant upturn’ they are experiencing after a nightmare five years. Garrett Byrne, who co-owns the Michelin- starred Campagne restaurant in Kilkenny, recently told the Irish Times that business at his restaurant was up about 12-15 per cent compared with 2008-2010, but that establishments outside Dublin have seen less of a recovery. “Overall, I would say Dublin is steaming ahead,” he said. “It’s still hard outside Dublin. I would expect to see an increase next year that will be worth talking about. McEvoy has noticed that in Galway the amount of custom coming through his door fluctuates month-to-month. “What I noticed in Galway is there’s the festival season in July, where there is plenty of business. But then in August it’s mostly just tourists around the city, so it’s a quieter month for us. Thankfully, we’ve had regulars that kept things afloat. That’s when it drove home that how much we rely on our locals,” he says. The restaurant industry is notorious for its low margins, particularly in smaller urban centres like Galway, where the population is a fraction of that of Dublin. McEvoy, who has two kids (one seven and the other six months), agrees that it is not easy to make significant profits but it is something he’s working towards as a business owner. Finding good staff is another perennial bugbear for the top restaurateurs. Most of the top restaurant owners will usually bring some of their most trusted lieutenants from their previous establishments. 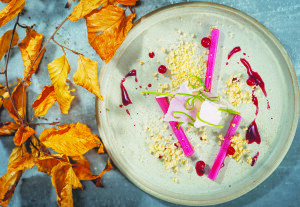 McEvoy thinks it is arguably the foremost challenge for resturanters. “It is hard yeah,” admits McEvoy. “I think once you have good staff you should hang on to them, because you do have to make an investment in training people. Conor Cockram, who I worked with at Aniar, is now working here at Loam. McEvoy adds that finding good front of house staff is probably the most difficult part of recruiting. “It’s not a trade that is taken seriously. It’s seen more as casual labour, which it isn’t. It’s the face of every business. The first person people meet is the front of house staff, so I think that’s something that should be taken a bit more seriously in this country. “A lot of kids coming out of school want to work in kitchens because they think it's glamorous, but it’s not at all, it’s the least glamorous job, but it’s seen as glamorous because of all the shite on TV. I don’t really know how to push it or promote it, it is a problem. The discerning Galwegian diner will only welcome a second Michelin star for the city. However, with a population of around 75,000, restaurants in Galway have to dog it out to build up a loyal local following. “Given how small the population living in the city full-time is, there’s only a certain amount of people that will visit a restaurant like Loam,” says McEvoy. “The restaurant scene is definitely more vibrant than it was when first moved here in 2000. There wasn't a whole lot going on really. And what was going on was catering for the tourist market. It was focused on the summer influx and maybe Christmas parties. People have moved away from just going to the pub, with families with disposable incomes now going to a restaurant rather than the pub. I think it’s a good thing. Although, it would be great to have more pubs serving good food here. In Galway, there’s one called Bite Club. it’s in a nightclub. They do some brilliant food there." Mark Moriarty, the 23-year-old Dubliner, who earlier this year was named the San Pellegrino Young Chef of the Year Award, previously told Hospitality Ireland that he felt the “recession was one of the best things to happen to food in Ireland”, as it weeded out the poorer restaurants and now means that Irish people are looking for more quality. Does McEvoy agree? “People are a bit more adventurous now,” he says. “There was a long time when chefs perhaps wouldn’t put things on a menu because they were afraid nobody was going to buy it. But if you don’t put it on the menu you’ll never find out if anybody is going to buy it. “Our biggest seller now is steak tartare, but when I started selling it in Galway people probably said nobody is going to buy it, but they did. It’s about gaining confidence from people around a couple of dishes, they’ll trust you with anything as long as it’s done correctly. The thing that has changed is in terms of quality. Irish people are now a lot more educated, worldlier, with regards eating. They know now what’s good and what’s bad. “On the flip side of that, however, is that a lot of restaurants closed down because of the recession. I don’t think it’s the best thing to happen to restaurants outside of Dublin. “During the recession, Dublin kind of closed its borders and looked after itself to a certain extent. It’s still going on. That side of Ireland it seems wasn’t hit as hard as rural Ireland. Here, so many restaurants and pubs that were serving food ended up closing doors because nobody was spending money.